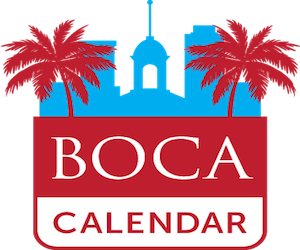 “A Grilling Affair” Saturday at Sanborn Square Park in downtown Boca! Summer is here. The crowds are shorter and the days are hotter. 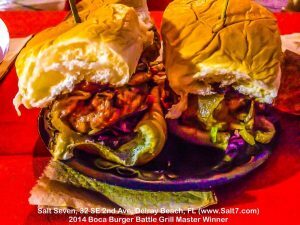 And the grills are a’ firin’ up again, as the area’s top chefs compete for your gustatory delight at the 7th Annual Boca Burger Battle. 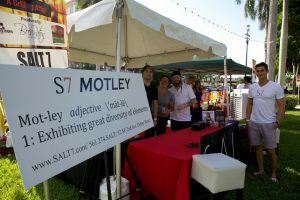 The increasingly popular “Grilling Affair” takes place on Saturday, July 14 in Sanborn Square Park along Federal Highway in downtown Boca Raton. Don’t miss this Burgerlicious experience to taste the best burgers and other grilled sensations, as Chefs from 16 of the area’s top eateries push the grilling envelope, and vie for the coveted Golden Burger Trophy and title of the “Best Boca Burger.” A panel of hungry Judges will select their Pick for “Best Grill Master” and “Best Alternative Grill Master,” and all festival goers will vote for the People’s Choice Award for the prestigious “Best Boca Burger” title. Now celebrating its 7th year, this year’s lineup promises to be one of the best Burger Battle yet, with top talent from Boca, Delray, Coral Springs, Ft. Lauderdale, and beyond. Last year’s Champion Chef George Patti of M.E.A.T. Eatery and Taproom will be back again to defend his unprecedented 3-year running (2015, 2016 and 2017) title as “Best Grill Master” Champion. 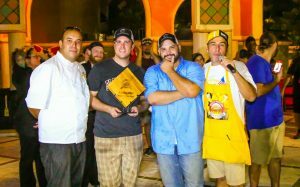 ROK:BRGR (Chef Robbyns Martinez) will also return to defend their 2017 People’s Choice pick for “Best Battle Burger;” while Chef Brian Cartenuto of Tucker Duke’s Lunch Box (my favorite Burger & Beer place!) 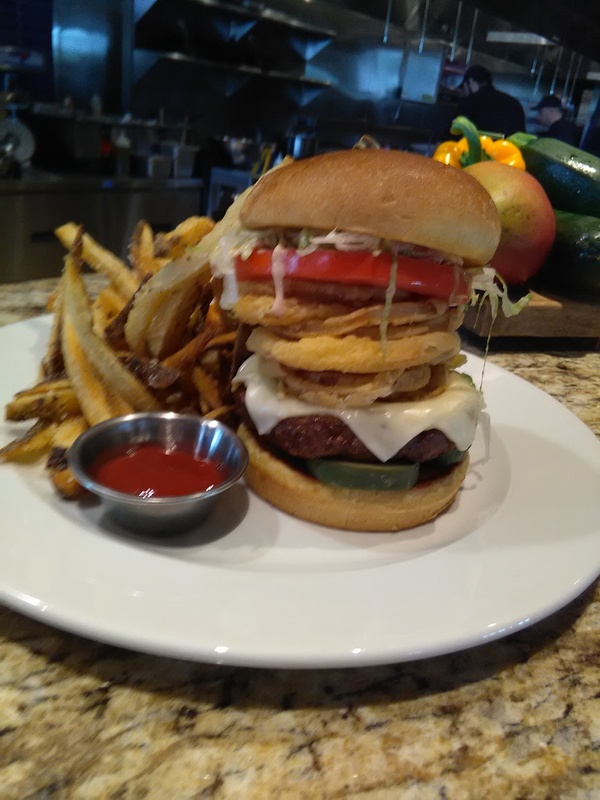 (Deerfield Beach and Boca) will try to win back the Best Battle Burger title again, after taking home the People’s Choice award the previous three years in a row. 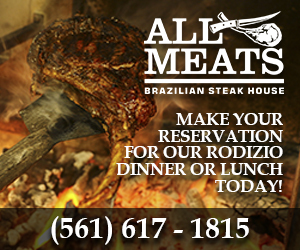 Other returning favorites include Shake Shack, Flashback Diner, Morton’s Steak House (all in Boca Raton), along with Deerfield Beach’s Burger Craze. But they’ll there will also be an impressive batch of new contestants, including Batch Gastropub; Big Joe’s Burgers & Wings, Burton’s Grill & Bar, Cheffrey Eats Food Truck (Coral Springs), Crazy Uncle Mike’s, Funky Buddha Brewery (Oakland Park); Kapow! Noodle Bar, Rockn Angels, and TooJay’s Gourmet Deli. Also enjoy some non-burger offerings from I Heart Mac & Cheese; A Flair For Fudge, and Kanpai. Also on tap: Plenty of craft beers, select Wines, and specialty spirits, a retail bazaar, and live entertainment provided by Classic Rock Therapy –and the chance to enjoy a sunny summer Saturday at Sanborne Square! Chef Rey De La Osa of Publix Aprons Cooking School will again chair the specially selected committee of Judges, which also includes: Jamie Frankel from Burgers by the Beach and his new blog Floridian Beer Society, Jan Norris from JanNorris.com, Alex Callegari from The Firefighter Foodie, Rob Adler from Weekend Broward, Former Commissioner Robert S Weinroth from City of Boca Raton and Danny Rivera from BIG 1059. 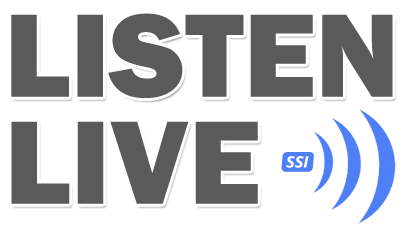 The Grill Master Judges will judge each contenders burger and will award the winning titles of Best Grill Master and Best Alternative Grill Master. 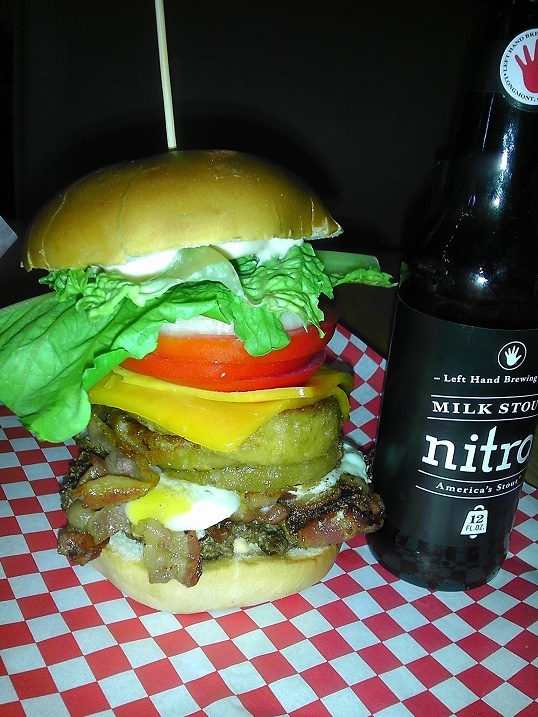 In addition, all guests can vote for their own People’s Choice award for the Best Battle Burger. “This community event with its “Backyard BBQ” theme not only showcases some of the best beef and alternative burgers in south Florida that can be found, but also has an array of summer food tasting stations sampling gourmet food items. You can quench your thirst with a variety of craft beer, seasonal spirits and summer wines” notes event founder and President Russell Spadaccini of BocaRaton.com and WineEvents.com. Portion of proceeds from the Boca Burger Battle benefit PROPEL (People Reaching Out to Provide Education and Leadership), a 501c3 Non-Profit Organization located in Boca Raton. PROPEL’s goal is to address the needs of youth and be a catalyst for change, one life at a time. They offer weekly programming and special events in the areas of arts, education and recreation to best forward the future of our youth. 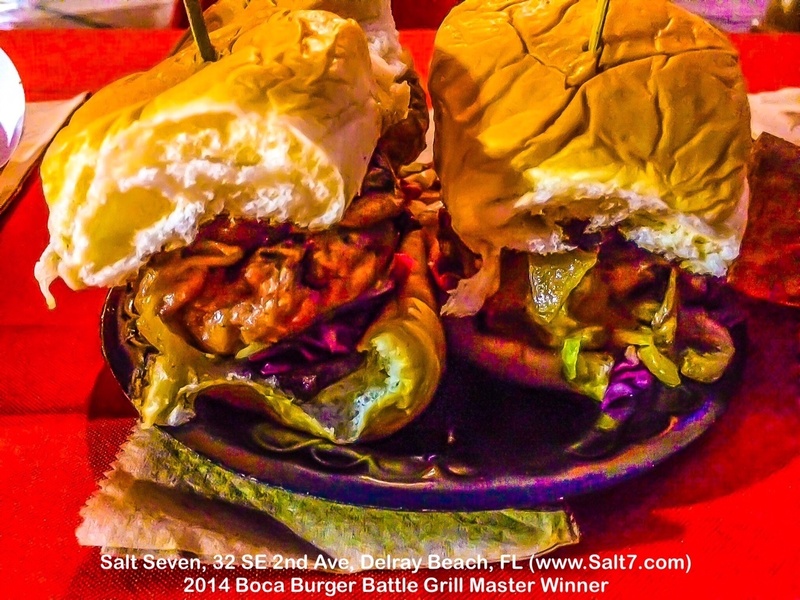 The 7th Annual Boca Burger Battle takes place Saturday, July 14 at Sanborn Square Park in downtown Boca Raton (Federal Highway, near Palmetto Park Road) from 7:00 (6:00 for VIP) – 10:00 pm. 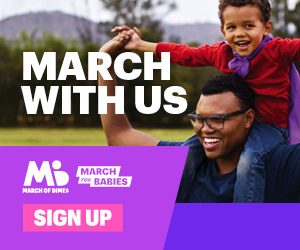 General Admission tickets are $50 in advance, or $100 at the event (if still available), and include unlimited food tastings plus three Drink Tickets for Beer, Spirits, and Wine. 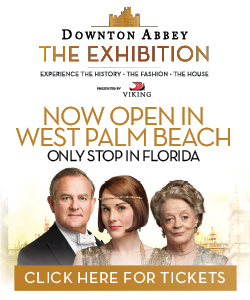 VIP Tickets are only $75 in advance ($125 at the event), and include one hour early entrance (6:00 instead of 7:00), plus unlimited food and drink tastings. 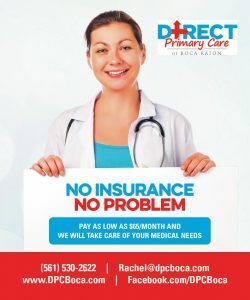 Or call (561) 338- 7594. Reminders! This is a 21 + year old event. No Pets, please. Event is Rain or Shine!